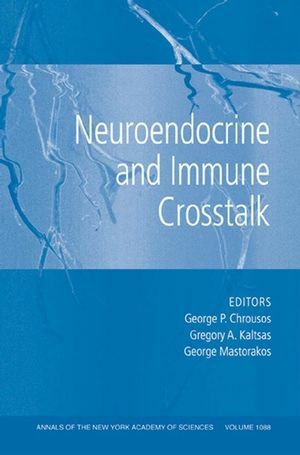 Crosstalk between the neuroendocrine and immune systems plays an essential role in inflammatory, autoimmune, and allergic diseases. An international group of scientists from the fields of neurobiology, neuroendocrinology, immunology, and behavioral sciences reports here on recent advances in our understanding of the communication and modulation taking place between the neuroendocrine and immunological systems. 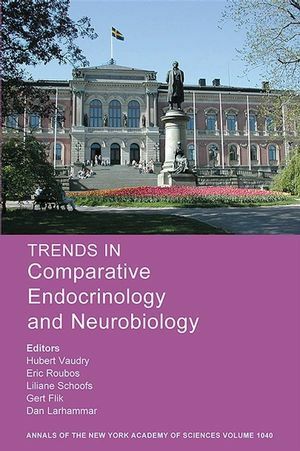 In an effort to incorporate all recent knowledge in this field, broad aspects of endocrinology and neuropsychiatric and autoimmune disorders is included, with special attention given to recent progress in molecular biology and genetics. 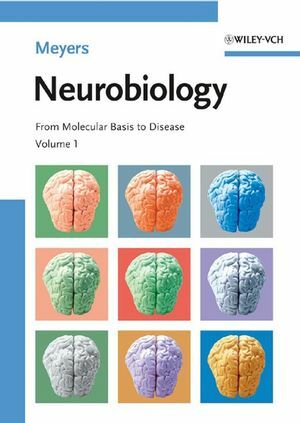 In particular, the volume focuses on diseases of the nervous system and their modulation by the immune and endocrine systems, as well as on the neuroimmunomodulation of inflammatory, autoimmune, and allergic diseases with an emphasis on the female gender. Special care has been taken by the editors to balance basic and clinical information. The volume is divided into sections: the cytokine and neuropeptide signal transduction systems and their immunomodulatory properties, the neuroendocrine immune basis of rheumatic disease, models of inflammation, the immunology of neuropsychiatric and allergic disorders, neuroendocrine and autoimmune adaptations in aging, neuroimmune interactions in chronic pain disorders and infectious diseases, and finally a structural and functional overview of the stress system. 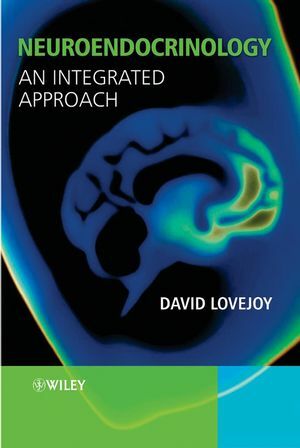 Clinical applications have been extrapolated from the basic knowledge and physiology of neuroimmune interactions, so this volume will provide a useful update for both researchers and clinicians. George P. Chrousos, MD, MACP, MACE, FRCP, is in the Unit of Endocrinology, Metabolism and Diabetes, First Department of Paediatrics, National University of Athens Medical School, Greece. He served as a Distinguished Visiting Scientist at the National Institute of Child Health and Human Development. He is among the most cited clinical investigators in the areas of Clinical Medicine, Biology and Biochemistry. Gregory A. Kaltsas, MD, FRCP, teaches at the Division of Endocrinology, Department of Pathophysiology, Medical School, National and Kapodistrian University of Athens, Greece. Dedication of Smauel M. McCann: Chrousos. An Overview of the Volume: Chrousos. 1. Molecular Understanding of Cytokine-Steroid Hormones Dialogue: Implications for Human Diseases: Artz. 2. Chronology of Advances in Neuroendocrine Immunomodulation: McCann. 3. Regulation of Dendritic Cell Differentiation by Vasoactive Intestinal Peptide: Therapeutic Applications on Autoimmunity and Transplantation: Delgado. 4. α2-Adrenergic Receptors Decrease DNA Replication and Cell Proliferation and Induce Neurite Outgrowth in Transfected Rat Pheochromocytoma Cells: Flordelis. 5. Thymus-Dependent T Cell Tolerance of Neuroendocrine Functions: Principles, Reflections and Implications for Tolerogenic/Negative Self-Vaccination: Geenen. 6. Neuroendocrine Regulation of Skin Dendritic Cells: Granstein. 7. The Mitochondrion as a Primary Site of Action of Regulatory Agents Involved in Neuroimmunomodulation: Sekeris. 8. The Role of Stress in the Clinical Expression of Thyroid Autoimmunity: Tsatsoulis. 9. Neural correlates of IgE-mediated allergy: Neto. 10. Pheochromocytoma: Physiopathologic Implications and Diagnostic Evaluation: Zapanti. 12. Participation of the EndoCannabinoid System in the Effect of TNF-a on Hypothalamic Release of Gonadotropin-Releasing Hormone (LHRH): Rettori. 13. Role of Thymulin or its Analogue as a New Analgesic Molecule: Dardenne. 14. Immunoneuroendocrine Interactions in Chagas Disease: Savino. 15. Roles of Glia-Derived Cytokines on Neuronal Degeneration and Regeneration: Suzumura. 16. PPARg, a Lipid Activated Transcription Factor as a Regulator of Dendritic Cell Function: Nagy. 17. Brain Cytokines and the 5-HT System During Poly I:C-Induced Fatigue: Katafuchi. 18. Hypothalamic-Pituitary-Adrenal Axis Function in Sjogren’s Syndrome: Mechanisms of Neuroendocrine and Immune System Homeostasis: Johnston. 19. Immunomodulation: The Future Cure for Allergic Diseases: Tsitoura. 20. The Role of Chaperone Proteins in Autoimmunity: Tzioufas. 21. Therapeutic Management of Chronic Neuropathic Pain Under the Magnifying Glass: Vadaluka. 22. The Role of Stress in Asthma: Insight from Studies on the Effect of Acute and Chronic Stressors in Models of Airway Inflammation: Vlagoftis. 23. Interleukin-6: A Cytokine and/or a Major Modulator of the Response to Somatic Stress: Mastorakos. 24. Annexin 1, Glucocorticoids and the Neuroendocrine-Immune Interface: Buckingham. 25. The Role of Toll-like Receptors in the Immune-Adrenal Crosstalk: Bornstein. 27. Neurosteroids as Endogenous Inhibitors of Neuronal Cell Apoptosis in Aging: Gravanis. 28. Local Amplification of Glucocorticoids: Seckl. 29. Beyond Heart Rate Variability: Vagal Regulation of Allostatic Systems: Thayer. 31. Immunomodulatory Properties of Substance P: Gastrointestinal System as a Model: Pothoulakis. 32. Critical Role of Mast Cells in Allergy and Inflammation. 33. Dialogue between the Brain and the Immune System in Inflammatory Arthritis: Vassilopoulos.